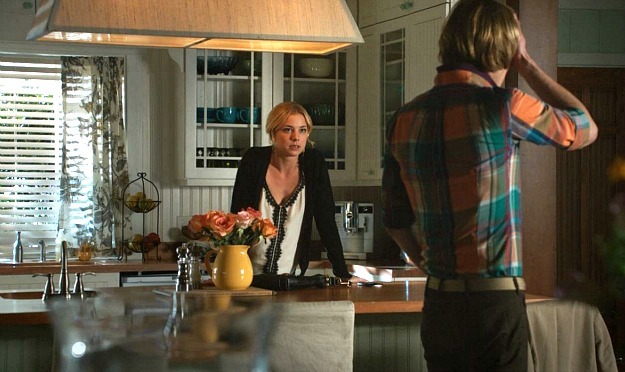 Emily Thorne's Beach House in the Hamptons on "Revenge"
Are you hooked on the soapy TV drama Revenge? I wrote a couple of posts last fall after it premiered, telling you about the real houses where the pilot was filmed. Since then I’ve learned more about them. 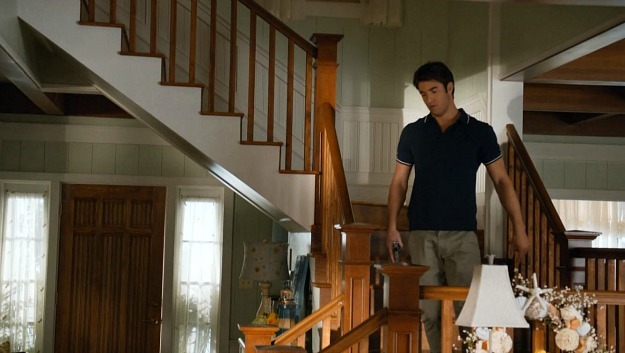 So today we’re going to take a closer look at both Emily’s beach house in the Hamptons (both the real one and the TV version) and Nolan’s place. Then next week I’ll give you a tour of Grayson Manor and that fabulous pool house! 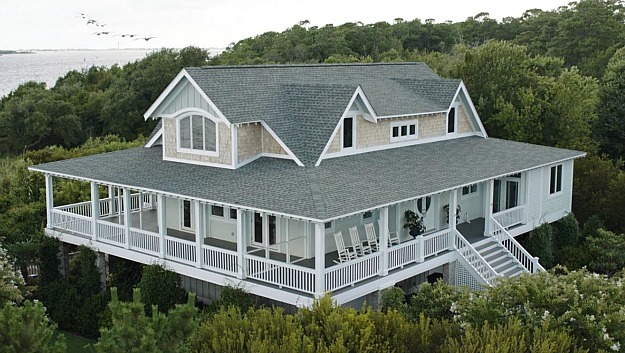 In some overhead shots of Emily’s beach house it looks like that (above). And in others, there’s a second staircase down to the beach that people seem to use more often than they do the front door. Can you spot all the changes from the real house above and the altered version below? 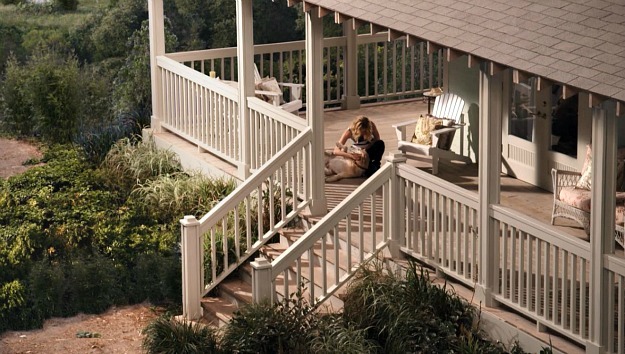 The screened porch we saw in the pilot (filmed on location in North Carolina–not the Hamptons) is gone, and there’s a bump-out that makes it impossible for characters to walk all the way around the porch now. 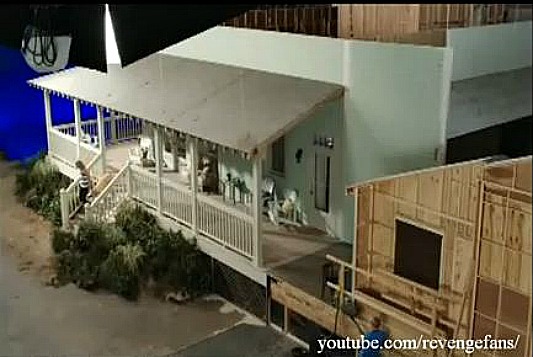 They show the porch so often, and so much of the action happens on it, that they built part of it on a soundstage in California, surrounded by a blue screen. Most of the characters tend to use the back doors off the beach, though. It’s hilarious to me how they always seem to be open, and people are always walking right in on her without knocking. Most of the time there isn’t even glass in those doors (the only exception is winter scenes, when they make it look like there’s frost on them). Emily spends a lot of time on this sofa, going through her father’s things and working on her laptop. The furniture in this room seems to move around a lot and change periodically. I love her kitchen with the wood countertops, beadboard, and glass-front cabinets. I watched every episode in the first season twice on Netflix to get these screenshots. That’s how obsessed I am! Her bedroom is just as feminine as the rest of the house. In the video tour we’re told that the soft and beachy decor is used “as another kind of disguise for Emily.” It looks so innocuous, you’d never guess what her real intentions for being there are. In the second season that premiered a few weeks ago we saw Emily’s guest bedroom for the first time when Nolan moved into it. The real house has 3 bedrooms, 3 baths, and a pool (that Emily’s version doesn’t have). You can see a lot of similarities in the real house, like the layout of the first floor and the placement of the staircase (although the one on TV isn’t painted white). 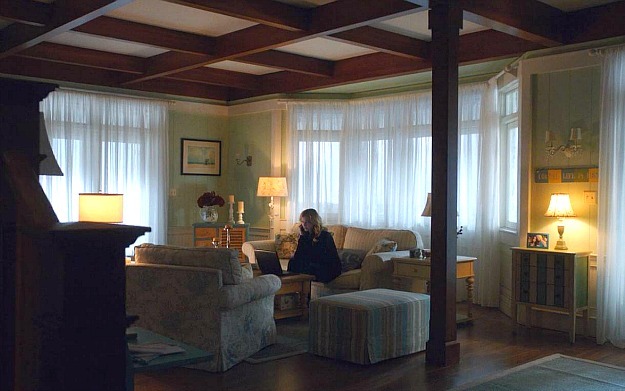 The real house also has the beamed ceilings that we see in Emily’s. 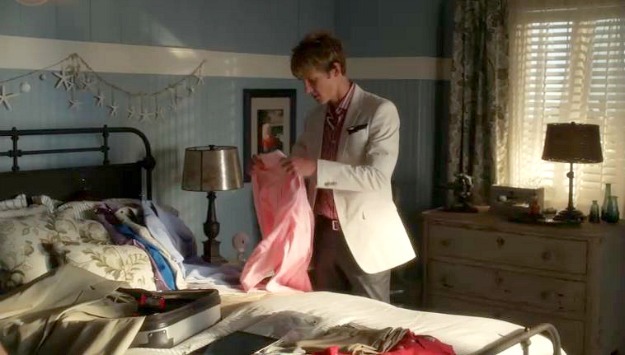 Now, while we’re at it, let’s take a quick look at where her trusty sidekick Nolan Ross (played by Gabriel Mann) lived during the first season. Readers told me that they’d seen this house in Season 3 of Brothers & Sisters. Sure enough, this website of filming locations confirms it. It’s in Malibu. Thanks, guys! *2018 UPDATE: Emily Thorne’s beach house is on the market, and you can see it here. I also found a fun video tour of the sets hosted by Ashley Madekwe that you can watch on YouTube. I LOVE Emily’s house. That is such a fun guilty pleasure show. 🙂 Did you watch last night? I would love to just freeze the DVR and look at all her pretty decor! love that show. it’s shameful… the house is gorgeous. thanks for going to so much trouble for us;) only thing i would change is that it needs more light. i hate a dark house. Nolans house is used in TV shows a lot. Kevin & Scotty used it as a vacation house in Brothers & Sisters that the whole family turned up to and Naomi lived in it in 90210. (If it’s not the same house it’s really similar) You usually only see the stairs with the big glass wall and the pool area outside. Interesting! I used to watch “Brothers & Sisters” but I either missed that episode or forgot it. Thanks, Yvey! Just updated the post with this info. Thanks, Marta!! Hey, lovely post! Quick question, doesn’t anyone remember Nolan’s house from an episode of Brothers& Sisters? Looks very much like one the whole family got together in over a weekend, wonder if it had anything to do with Rob Lowe’s character….? Right before you mentioned it, Yvey left a comment saying that it was used in “Brothers & Sisters.” So you’re right! I love the show too. Everytime we watch it, I tell my husband how perfect her house is. LOVE it!!! Wonderful post! Is there any way you would consider an upcoming post on the hampton house in the recent Castle episode that was Castle’s Hampton’s home? It was quite fabulous! I saw that episode and it was fabulous! Looks like they used a real house for it. Does anyone have any info on it? I’ve been watching as well… and have to catch up on last night’s episode. Great to learn more about the house and the filming!! Unbelievably, I haven’t seen this show yet! You have definitely spurred me into action. I will check it out for sure now, if for no other reason than to see more of these beautiful beach houses! 🙂 I loved Emily VanCamp in Brothers and Sisters. She was great in “Everwood,” too, another one of my favorites! 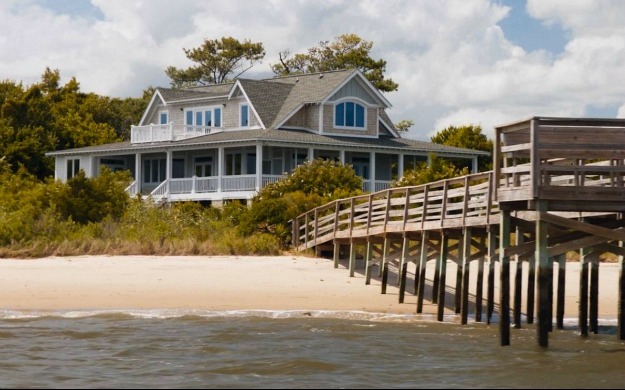 Nolan’s house is the same house they used in Season 3 of Brothers and Sisters when Kevin and the Walkers go to his boss’ beach house for the weekend. 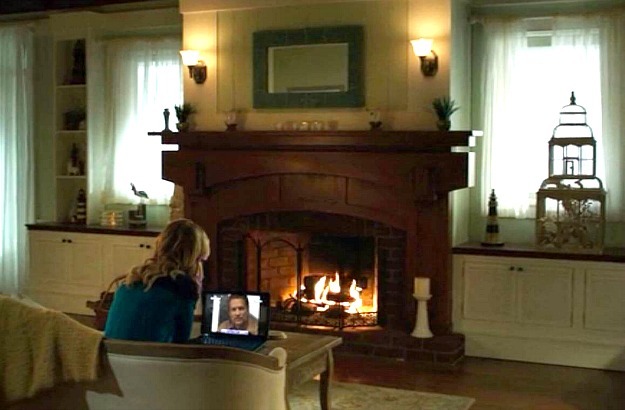 Cool coincidence considering Emily VanCamp has filmed in the same house/set for two different shows! Wow! 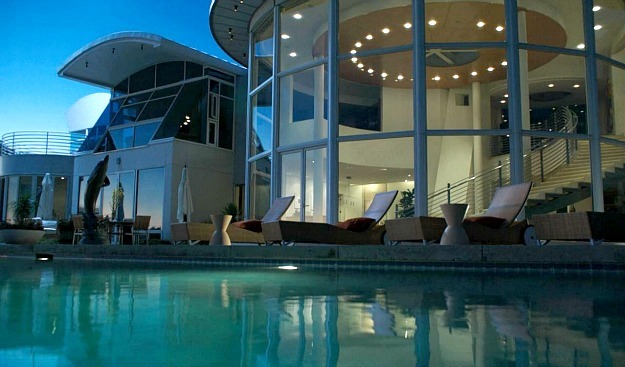 I have some serious house envy. 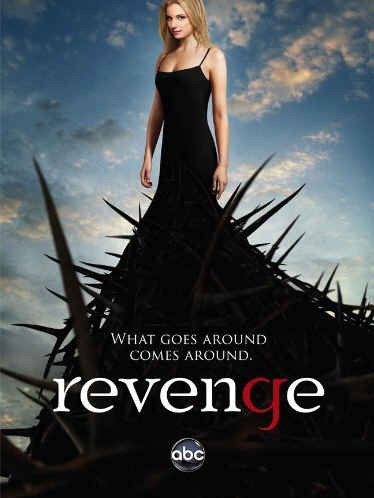 The whole family loves Revenge… the twists and turns of Season 1 made it our favorite show last year…. and then there are the houses… what a wonderful escape! Thank you for this post. My favorite show and house. I watched a synopsis of the full 1st season at Sonny and I went mad about those houses! It’s on my list of shows pending to be watched … but the list is getting very loooong! I am obsessed too! Fun to see the photos! I love this show! 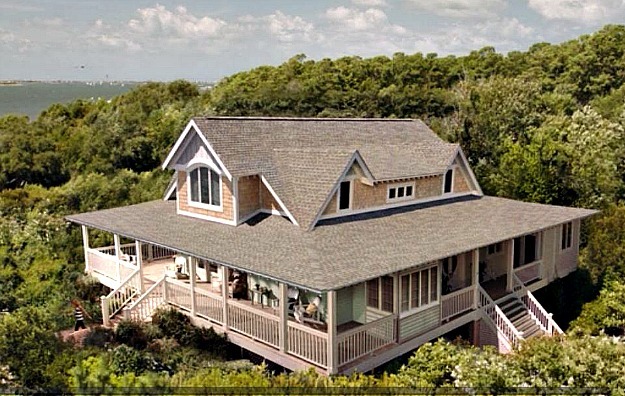 And Emilys house is exactly what i would want inside and out if i owned a beach house. Loved the tour , thanks! In Nolans modern mansion is also in the 1st of 2nd season of the new 90210. Love the houses on this show as well! Great settings… Madeline Stowe’s house is a favorite of mine. Great posting! I can’t believe I just found this post – I’m in love with this show, and it’s mainly for the scenery and these amazing homes! Might have to share this one on my blog 🙂 Thanks!!! The Malibu home was also used in 90210 and in an episode of Numb3rs. I’m pretty sure I’ve also seen it in other shows too! 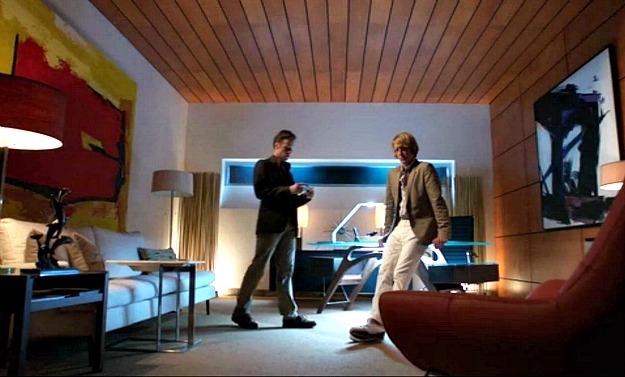 I am in love with the paintings inside Nolan’s house. Do you know who did them? Is there somewhere I can purchase prints? I have googled different ways but have come up empty handed on any information. I haven’t seen anything about the paintings, either. Sorry! Thank you for answering back so quickly! I shall continue my search! I’ll let you know If I find anything of substance! One of the best reasons to watch Revenge is because of all of the great sets and costumes. I had never thought about the difference between sets and on location shoots to be honest. I loved all of the details about the original house, but I have to say, I like the set version better! This is my wife’s pick for a show to watch together, but I got hooked. I was so glad when I learned from my DISH coworker that my new Hopper DVR from DISH has thousands of hours of HD recording time because now I score brownie points with my wife by recording and saving all of the episodes. Isn’t the contemporary home that was once Nolan’s, also featured in Weekend at Bernies? 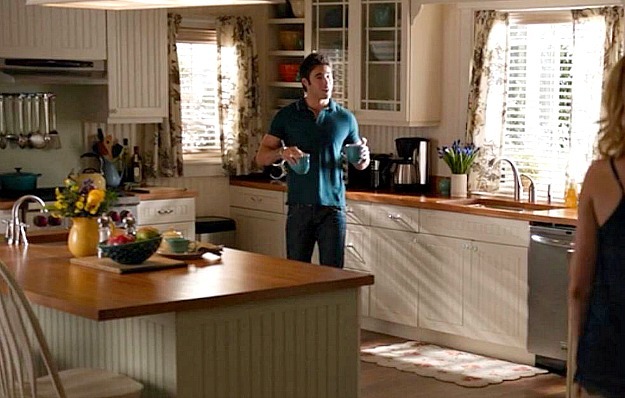 Where can I get the kitchen stools in Emily’s house on 11/11 episode of Revenge? i am obsessed with charlotte’s room – and want to paint my daughter’s room the same color. any chance you know the paint color?? I have never seen the show, but now that I toured the beach house thanks to you, guess what I’m going to start watching tonight? I’m pretty sure the kitchen is the main character, isn’t it? 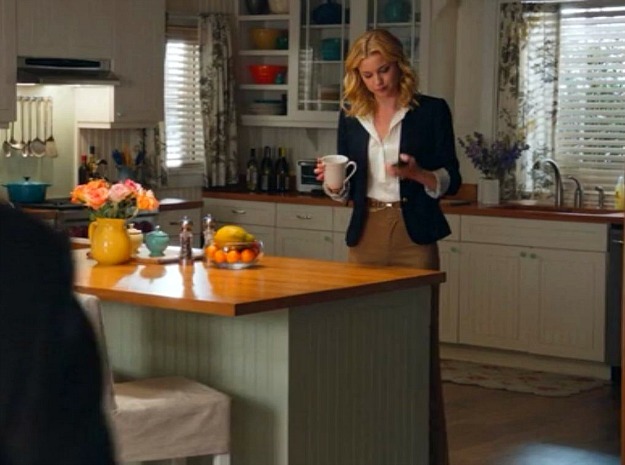 Any pictures of Emily’s house (particularly her kitchen) from season 2? It looks like there is a wine rack at the side of the island … just what I would like …. Hi from South Africa. I would also love to know where to get the print ( if it is a print) if you find out please would you email me on art@arteye.co.za you can also find me on Pinterest (art eye) thanks. Please let us know if you do come across it. I’m on the hunt and will let you know if I come up with anything. Hi! I’ve found all of this info quite interesting and very detailed. Thank you for that. I dont know if you are already aware but if not let me give another piece of the puzzle. 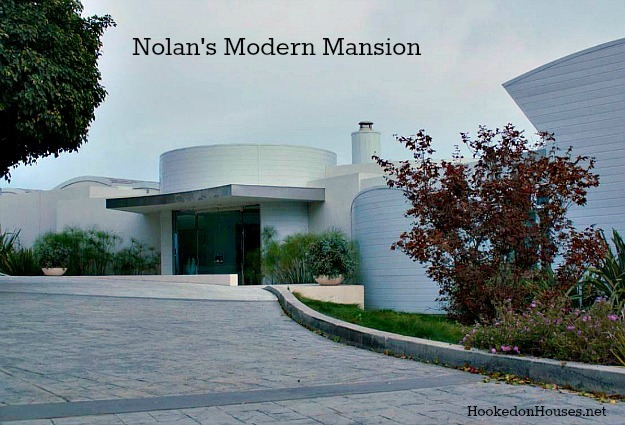 Nolan’s modern mansion was also featured on the WB’s show 90210. It was Naomis and Jen’s house for some time. Unfortunately, the paint colors for TV sets (or movie sets for that matter) are usually custom mixed to look good under the lights. Shouldn’t be hard to find colors that look similar, though! I am not 100% certain, but I think the bed in the guest room of Emily’s house is a Paula Deen bed. I can’t remember the name exactly, but it looks very similar to one I saw in her catalog. I love Emily’s house! I just love all of the furnishings in Emily’s house. I wish I could get a closer look at the and find where to get some of them. What about the new modern house that Emily & the British guy are staying in? That is such a good point! Too funny. Hi there – not sure if you are still dealing with all the “Revenge” questions or if you have moved on, however if you are stii in the game I hope you can answer my query. In series 2, Aiden Mathis has a ‘hidey house’ that Emily comes into and her and Nolan discover that Falcon is back. Can you tell me anything about that amazing house? I would love to see the plans or anything really on it. It is beautiful. Thank you for your time. Cheers from Australia. I know the house you mean but I’m afraid I have no info on it. 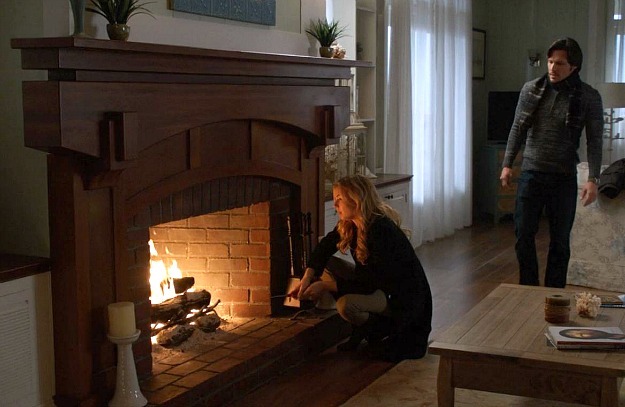 It looked like they were filming in a real house, though, instead of a set, didn’t it? If anyone knows anything about it, fill us in! I’m actually watching a celebrity homes show and An actress names Melissa Rycroft is showing her house that looks very similar to Aidens. I think that might be it! In the foyer of the actual Revenge Set, there are two black / white pictures or paintings on either side of the entrance. I was wondering someone may be able figure out a name of the artist or artwork?